As Unitarian Universalists, our Fourth Principle is to affirm and promote a free and responsible search for truth and meaning. This can mean searching for spiritual development for ourselves and promoting it in others. Some folks reading this may have just gotten tripped up by that word “spiritual.” The word does not necessarily connote faith in metaphysical realms. Spirituality is simply about discovering connections – with one’s true self, with other people and beings, the world around you, your highest ideals, the sacred. You can be a spiritual atheist, theist, pantheist, deist, or agnostic. We can find spiritual development by actively seeking it, as well as by working mindfully with and for others, as we do in all of our teams and committees. Our Committee on Ministry also reminds us at least once a year of our shared ministry to each other and the world. Connection Groups are lay-led discussion groups. Once formed, each group membership is closed so that members can create a caring, safe environment for sharing personal thoughts and feelings. New groups are forming often. Life Lines Lay Ministers are members of the Unitarian Universalist Congregation of Salem who will provide a compassionate ear and a calm, abiding, and non-judgmental presence, and will coordinate with others to provide assistance in practical short term matters as well, such as transportation or meals in a time of need. Compassionate Connection, (part of Life Lines Lay Ministry). After the service on the second Sunday of the month, in the front of the sanctuary, Life Lines Lay Ministers and sympathetic members of the congregation meet with those who want to share their life challenges with a small group and receive ‘hands on’ comforting. Religious Exploration for Children, Youth and Adults. 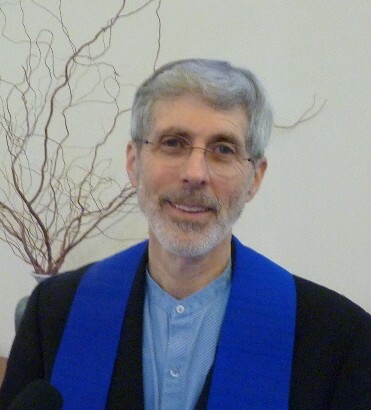 Our mission in Lifespan Religious Exploration is to enhance and deepen the spiritual growth of people of all ages at the Unitarian Universalist Congregation of Salem (UUCS) through inner exploration and outward acts of justice and kindness. Dances of Universal Peace occur in our building on the first Friday and third Thursday of each month. The Dances of Universal Peace are simple, easy-to-learn movements and songs honoring spiritual traditions from around the world — heart-awakening circle dances dedicated to peace within and without. The Covenant of UU Pagans, meets and provides ceremonies through out the year such as Solstice and Equinox services. Check the calendar for information. Compassionate Mind Buddhist Sangha, meets on Wednesdays at UUCS from 5:30 to 6:30 pm and from 7 to 9 pm. For details see the Salem Zen Center webpage.